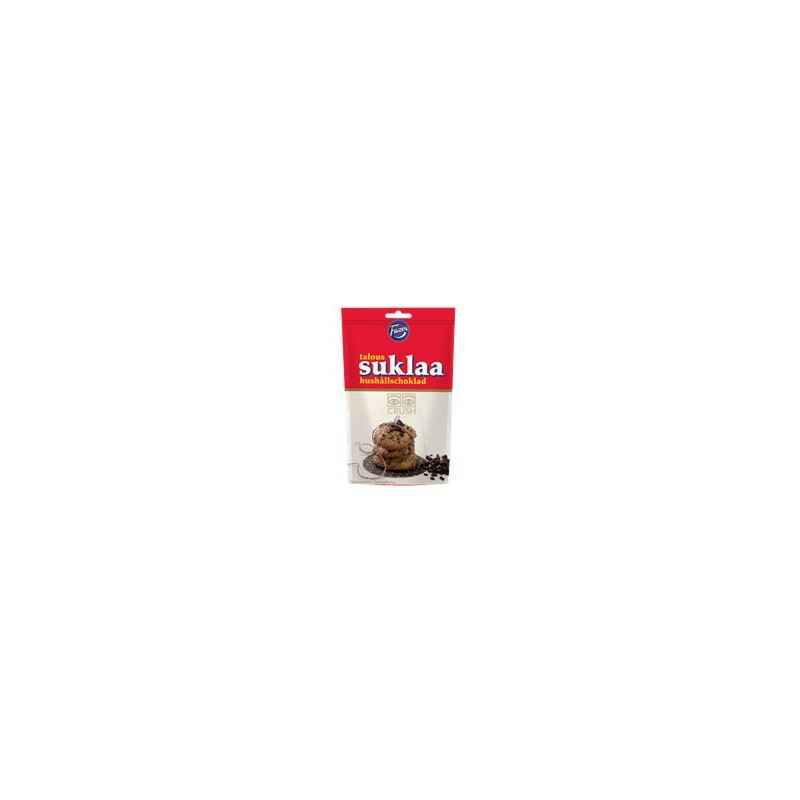 Crushed Fazer Taloussuklaa is the dream of every chocolate-loving baker! You can use the chocolate crush to decorate your cakes and pastries. A guaranteed way to win over the hearts of chocolate lovers! sugar, cocoa butter, cocoa powder, MILK FAT, emulsifier (lecithin incl. SOYA), flavouring. In chocolate cocoa solids 44% minimum. MAY CONTAIN TRACES OF MILK, NUTS, ALMONDS AND WHEAT. Producer: Fazer Confectionery, Finland.